Since I posted a photo of Logan being picked up the other day I figured it'd only be fair to show what happens right after he gets picked up. Notice Steph walking on the right? 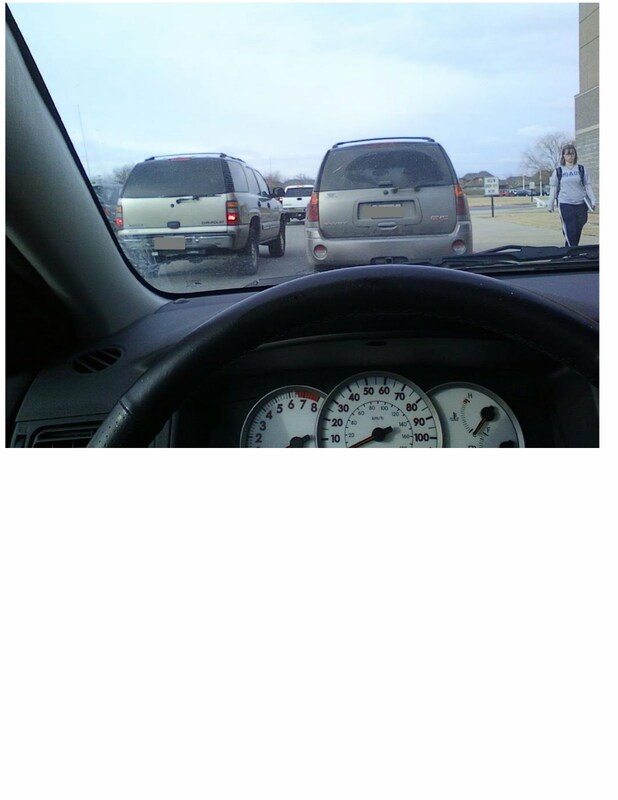 The traffic at the High School is insane, but it seems to clear out quick.